<strong>Saving Private Ryan</strong> is a 1998 Academy - Award - winning film set during the D-day invasion of Normandy in World War II, directed by <strong>Steven Spielberg</strong> and written by <strong>Robert Rodat</strong>. 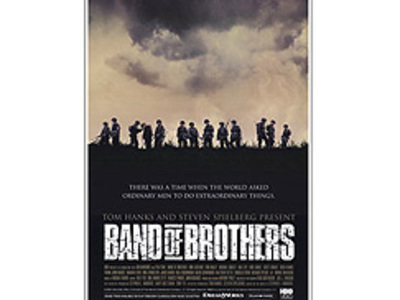 <strong>Band of Brothers</strong> is an acclaimed 10-part television <strong>World War II</strong> miniseries based on the book of the same title written by historian and biographer <strong>Stephen Ambrose</strong>. 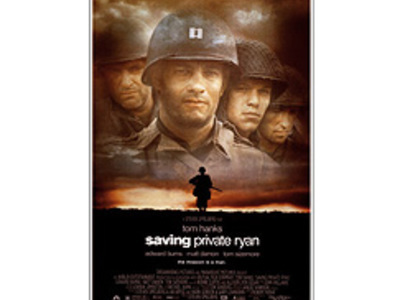 It was co-produced by <strong>Steven Spielberg</strong> and <strong>Tom Hanks</strong> after their successful collaboration on the Academy Award winning WWII film, <strong>Saving Private Ryan</strong>.